Oh, and I thought that one of the reasons why Republicans were crying about KILLARY being elected was that she was going to take us to war. Isn't that what Cheetolini is doing, taking us to war? Why not be mad with him and the stupid rhetoric coming from him? You idiots are flaming hypocrites and He's coming for the church FIRST. You're nothing but hateful pagan bigots. We're entering Lamentations. Repent! Your stupid TV platform is just spreading more lies. Because Evangelicals voted for a devil, the Christian reputation is mud. You're going under a curse and you'll be despised by the world. God's word is clear what will happen to the disobedient. I want to know why he's not afraid of being destroyed by a hurricane but constantly beats the war drums about North Korea nuking us? Why is he continuously investing in a state of the art studio if war is imminent? He's talking out of both sides of his neck. Wiles is a wolf in sheep's clothing. Any Christian who supports Trump is a devil who voted for a devil. He's anti-Christ. Why hasn't Trump EVER said the name of Jesus? The Lord is coming to judge Christians because you've chosen to follow the devil in his satanic government system instead of trusting in Jesus. You've taken a type of the mark of the beast. Repent and confess your sin and be saved from it. Otherwise you'll be eternally separated from God. 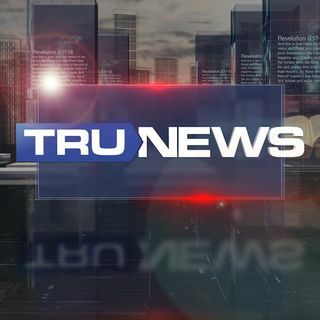 I really enjoy Trunews, but why do you guys keep on saying that for years you have predicted xyz and you called it.. We get it. yo guys are correct most of the time, please dont keep on blowing your own trumpet. I do not want to see (more) Satanic statues or symbols put out in plain site. However, I just have to "go there" and point out that they will be putting the pentagram out during the XMas holiday season, which seems perfectly logical to me, seeing as it is actually the Feast of Saturnalia, which is a pagan festival for Saturn (i.e., Satan). Yes, I know that most people say that they don't celebrate it for that reason, but I still say that Satan gets power from everyone who celebrates that event instead of God's appointed holy days. Would really appreciate Rick responding to this.